Holland Dream Wallpaper is created by manicho using Adobe Photoshop. PSD file included ; it will cover most screen resolution. It is a ZIP download, the file is 5.5 MB in size. This Article Has Been Shared 5109 Times! 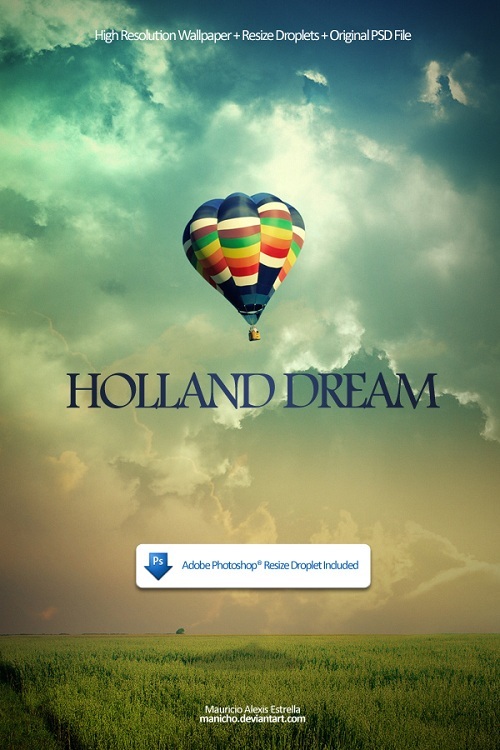 Cite this article as: Abhishek Ghosh, "Holland Dream Wallpaper," in The Customize Windows, February 1, 2012, April 20, 2019, https://thecustomizewindows.com/2012/02/holland-dream-wallpaper/.